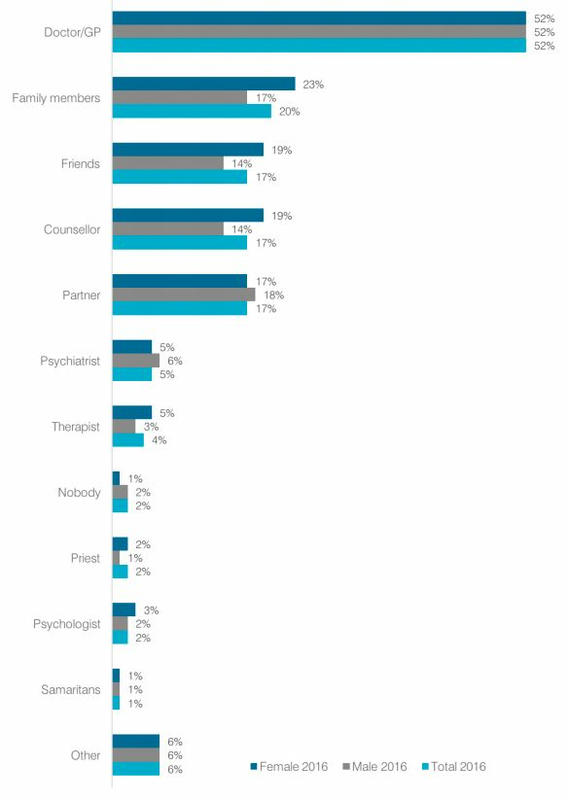 Today Huffington Post UK reveals the findings of our 2016 Masculinity Audit – revealing how men and women respond differently to mental health problems and challenges in life. The unequal impacts of mental health issues on men in the UK are revealed today in a landmark report into the causes of male suicide. The research, carried out by the Campaign Against Living Miserably (CALM) and The Huffington Post UK, and released as part of the Building Modern Men campaign, highlights how men struggle differently to women in life and specifically to mental health problems. CALM’s latest Masculinity Audit reveals that men are not only less likely than women to open up to friends about being depressed, they’re also more likely to exhibit risk-taking behaviour and feel more frustrated at life’s challenges, like losing a job. Launched ahead of International Men’s Day, the audit details how barely half of men who admitted to feeling “very depressed” had told anyone about it, compared with 67% of women who did, bringing to light a parallel gender difference in how men and women respond to life’s low points. The findings coincide with new UK-wide statistics, compiled by CALM and HuffPost UK, that reveal suicide remains the single biggest killer of British males under the age of 45. The data shows that over 4,500 men kill themselves every year in Britain, with men three times more likely than women to take their own lives. Experts believe the audit highlights how men lack the “language” to talk about their mental health, meaning doctors may be failing to spot key danger signs. The figures show half of all male respondents had felt very depressed, but among men aged 25 to 34, the figure rises to two thirds, with the main reasons listed as mental health, financial problems and relationship breakdowns. And it finds that, while men were less likely to have been diagnosed with common mental health disorders than women, the gap was closer when they were asked whether they had felt “very depressed”. Despite a GP being the person men were most likely to speak to, Prof Ridge added he feared professionals were unable “to pick up or spot the coded ways that men talk about their distress”. “It’s well-known that men do things like self-medicate or become angry or become somebody else’s problem when they’re distressed,” he says. Prof Ridge says the system was “not so good at picking up the issues that men experience”. “Women have a whole history of talking about stuff with their girlfriends, family and so on. They open up and talk. There’s a language to talk about their distress,” he adds. The audit found men are more likely to feel pressure to be the main earner in families, with 31% of men surveyed saying this but only 19% of women feeling the same. A quarter of men said losing their job would make them feel less of a person while 17% of women said this would make them feel the same. “We’re supposed to have better gender equality [but] it’s still the case that financial issues and having a job are really important to men’s identity,” Prof Ridge says. The findings resonate with CALM volunteer Matt Kynaston, who was diagnosed with depression in 2013 and later contemplated suicide. The 28-year-old told HuffPost UK: “One of the things that kept me in a job, which kept me miserable for a long time, was not even considering unemployment or taking time out, not seeing any value in that. After his depression diagnosis, Kynaston quit his job to go travelling in Australia, thinking the change of scenery would be enough to make him feel better. As his mood worsened, his decision-making became more impulsive. He went to work on a fishing boat where the atmosphere was dominated by “toxic masculinity”. “People didn’t talk about their problems and if they did, it was weakness,” he says. He went to Melbourne with no money and began looking for potential ways to kill himself. “A bus drove past, that I was considering stepping out in front of, which had an advert for a suicide hotline,” Kynaston says. He rang the hotline and later checked in to a psychiatric ward and came back to Britain. He now works for mental health charity Mind, volunteers with CALM and runs men’s groups for those struggling with their mental health. But the feeling of earning less money than before still plays on Kynaston’s mind: “Despite the fact I’m trying to be part of the conversation that changes that perspective, I certainly still feel that now. He adds some of the men in his group are unemployed and “find it really difficult to accept”. 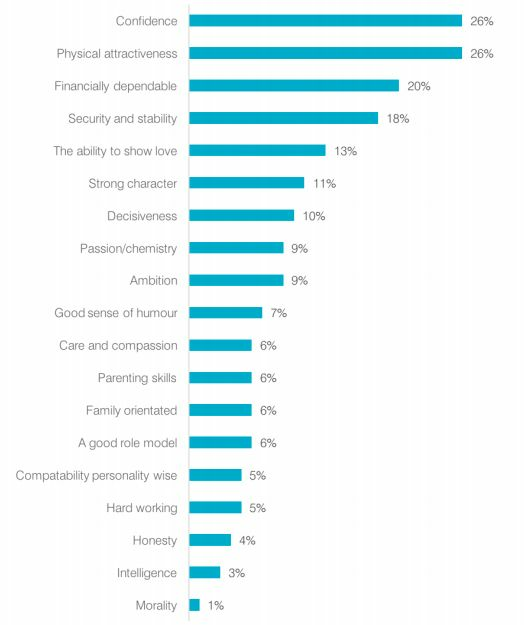 The masculinity audit showed a gulf between the qualities men thought would be important to potential partners and what others actually deemed important. A total of 81% of those looking for a male partner wanted him to be honest but just 62% of men assume prospective partners look for this. Four in 10 men feel they lack the qualities partners look for. Of those, 26% feared they were not physically attractive enough, 26% felt they were not confident enough, 20% that they failed to provide financially dependability and 18% that they failed to provide stability. But confidence and physical attractiveness are all less important to those seeking male partners than men realise. Work ethic, intelligence and compassion are among the qualities men underestimate the importance of to their potential partners. Prof Ridge said men not speaking to other people, such as romantic partners, meant their beliefs about what constituted failure could go unchallenged. “Men can have ideas about what they lack, why they’re a failure. And yet it may not fit with reality,” Prof Ridge said. In the year and a half since Kynaston began working towards mental health recovery, he said he had tried to prioritise being honest in relationships. Before his Australia trip, when he was in London “being a bit of a player”, he found this difficult. “I don’t think I’d fully grown up… I don’t know if I can blame patriarchy for that stunt in my personal development,” he added. A total of 55% of men felt males were stereotyped negatively in the media. Men said they felt expected to be dependable and hardworking and 36% and 40% said they needed to be decisive and physically strong respectively – two qualities fewer women actually thought were important. Prof Ridge said the survey results here reflected the power gender stereotypes had, which were, he said, ingrained from an early age. He said: “It starts very early. As infants, we get differentiated – the toys we get and the way we’re dressed and the way we’re treated. There’s a time when boys are allowed to cry and then suddenly they’re not allowed to cry any more. You’ve got to be a man. Kynaston said he previously “bought into” this masculine stereotype, going to the gym a lot, “eating way too much protein” and even applying for a sky diver’s licence in a bid to “out lad” other men. “I certainly remember carrying that out around as part of my ego,” he said. He blamed this pursuit of “being the manliest man I could be” for contributing to his mental health crisis. He said he had “lost sight of who I was and how I felt about it all”. Read the 2016 Masculinity Audit in full. This feature originally appeared in Huffington Post UK as part of our month-long ‘Building Modern Men’ initiative, which aims to highlight the pressures men face around identity and to raise awareness of the epidemic of suicide.